New Study Raises Alarm About Glyphosate Pesticides at Levels the EPA Claims Are "Safe"
A new study on glyphosate, the active ingredient in Monsanto's Roundup—one of the world's most widely used weedkillers—is fueling persistent concerns about the pesticide's impact on sexual development, genotoxicity, and intestinal bacteria, even when exposure is limited to a level currently considered "safe" by U.S. regulators. While the International Agency for Research on Cancer (IARC), a branch of the World Health Organization (WHO), and California have classified glyphosate as a probable human carcinogen, U.S.and European regulators have continued to authorize farmers to use it, and Republicans in Congress have even threatened to cut off funding to the WHO over the issue. Researchers at the Ramazzini Institute in Italy collaborated with experts from the U.S. and Europe to conduct the new crowdfunded pilot study, which will be detailed in three peer-reviewed papers set to be published in the journal Environmental Health later this month. They exposed rats to glyphosate-based herbicides (GBHs) in drinking water at the "safe" level set by the U.S. Environmental Protection Agency (EPA) over a three-month period, "starting from prenatal life until 13 weeks after weaning." "The results show that GBHs—even at doses deemed safe and over a relatively short exposure time (which in human-equivalent terms correspond from embryo life to 18 years of age)—are able to alter certain important biological parameters, markers chiefly relating to sexual development, genotoxicity, and alteration of the intestinal microbiome...especially in females," according to the study's website. Daniele Mandrioli, associate director of the institute's cancer research center, explained to the Guardian that this "shouldn't be happening," and noted that in humans, "disruption of the microbiome has been associated with a number of negative health outcomes, such as obsesity, diabetes, and immunological problems." Philip J. Landrigan, a member of the study's research team and a professor at New York's Icahn School of Medicine at Mount Sinai, expressed worries that glyphosate may pose a long-term cancer risk "that might affect a huge number of people, given the planet-wide use of the glyphosate-based herbicides." Acknowledging that "by its very nature and purpose, the pilot study does not resolve the uncertainties puzzling the various agencies," Landrigan concluded that "these early warnings must be further investigated in a comprehensive long-term study." 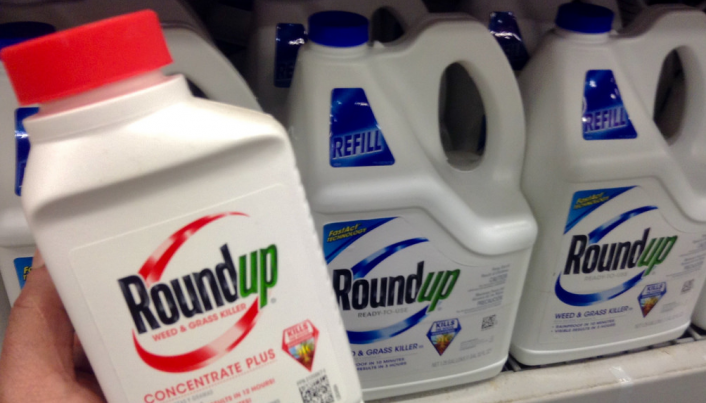 Consumer advocates in the U.S. also responded with calls for further studies, pointing out that "there have been no long-term, peer-reviewed studies of the potential health impact of glyphosate exposure at levels lower than the EPA's guidelines." "This new pilot study confirms what many responsible scientists have been saying all along: There is no such thing as 'safe' levels when it comes to glyphosate, especially when it comes to children," remarked Ronnie Cummins, international director of the U.S.-based Organic Consumers Association (OCA), which supports the testing food products—including Ben & Jerry's ice cream—for levels of glyphosate. "What your average consumer needs to know is that there's absolutely no scientific evidence backing up the EPA's claims of 'safe levels,'" OCA U.S. director Katherine Paul told Common Dreams. "So when Ben & Jerry's says it doesn't matter that there's glyphosate in their ice cream—because the levels are beneath EPA guidelines—that's total bunk." Meanwhile, Monsanto—which has tried to influence scientific health reports about Roundup—maintains that "there is no link between glyphosate and cancer," and accused the Ramazzini Institute of being "an activist organization with an agenda." The institute has supported the study of cancer for more than two decades and, according to its website, its top priorities are conducting scientific research, performing early diagnosis, and spreading information about "environmental toxic and carcinogenic risks."